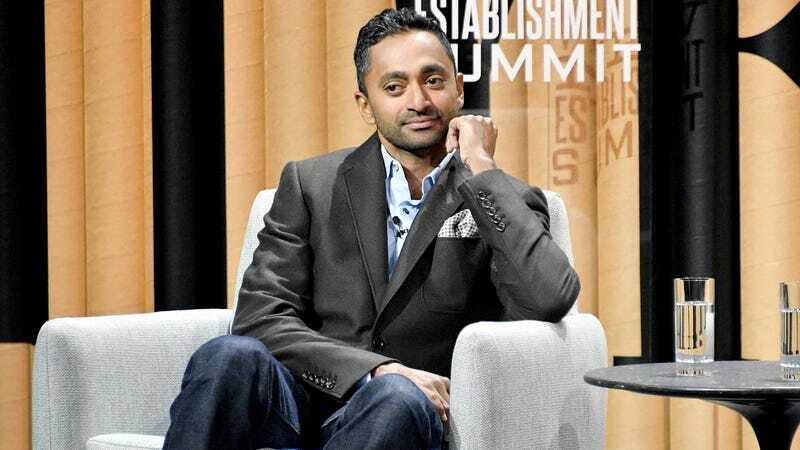 A former Facebook executive is trying to sprinkle some niceties onto his ruthless drag of social media—at least when it comes to one social media company in particular. Former vice president of user growth Chamath Palihapitiya recently told an audience at the Stanford Graduate School of Business, “I think we have created tools that are ripping apart the social fabric of how society works.” But on Thursday night, two days after Facebook responded to his damning criticism, Palihapitiya walked back on his comments. “My comments were meant to start an important conversation, not to criticize one company—particularly one I love,” he wrote on Facebook. Palihapitiya said that he believes that “Facebook is a force for good in the world,” and went on to express his belief that the social network is really trying to make its platform less of a hellish garbage fire of misinformation and election interference. “Facebook has made tremendous strides in coming to terms with its unforeseen influence and, more so than any of its peers, the team there has taken real steps to course correct,” he wrote in the post. And Facebook is certainly trying to soothe naysayers who think the platform might be rotting the brains of our youth—a viewpoint that Sean Parker, Facebook’s first president, essentially expressed last month. The company announced in a blog post today that it is working with experts and investing in research to better understand the impact social media has on us. For Palihapitiya’s part, Thursday night’s statement wasn’t a total reversal of his original claims, but seemingly an apologetic gesture toward Facebook (or perhaps friends still working at the company). Yes, social media has the capacity to utterly destroy us, but can’t you see that Facebook is trying to be better? You can read Palihapitiya’s Facebook statement, posted last night, in full here.